This happened mostly through the month of August 2011 and recently in October 2012. And now you’re bumming out because you don’t know how to get past this and you need to SSH in. Here’s the solution below. Note: Contact DreamHost first to make sure the problem is with your server RSA key change and not some man-in-the-middle attack. Your Mac saves the host keys within a hidden folder called ‘.ssh’ Note that the period in front of the filename hides the folder from the normal Mac user since there’s important stuff in there and you can get into real trouble if you mess with the files. Well, to fix this we’re going to mess with one of those files. In the examples below don’t type in the quote marks and the upper-case is just for emphasis. This will bring up the ‘go to folder’ dialouge box. This will reveal the hidden folder. Open this file ‘known_hosts’ with a plain text editor like TextWrangler which is free. Don’t open it with Pages or Microsoft Word or you will screw-up the file with all kind of garbage characters. TexWrangler is free and is the an excellent text editor for Mac OS X when all you need is a good old plain Unix type editor. Click on the app’s name above to download it if you don’t already have it. 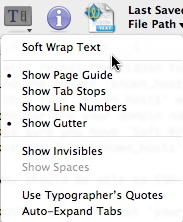 (figure 1) Turn-off Soft Wrap Text in TextWrangler or you’ll go blind finding your host domain. Now delete that line with your host name in it. Save the file ‘known_hosts’ by hitting COMMAND-S or going to File>Save and close it. The authenticity of host ‘yourdomain.com (100.255.255.255)’ can’t be established. RSA key fingerprint is x1:x1:x1:x1:x1:x1:x1:x1:x1:x1:x1:x1:x1:x1:x1:x1. Warning: Permanently added ‘yourdomain.com,100.255.255.255′ (RSA) to the list of known hosts. You can verify that it’s now working properly if you open ‘known_hosts’ again and find your server at the bottom of the list. 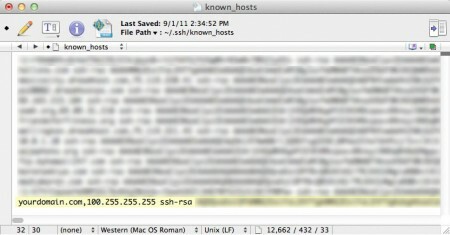 (figure 2) List of host RSA keys in ‘known_hosts’ file in TextWrangler. Yeah, if you’re using one of these operating systems you probably don’t even need this tutorial. But it’s similar to the Mac tutorial if that’s any hint. Or you can hit the link above for Windows and cruise that page for some info. Or you can go here. Thank you so much! You saved my life.